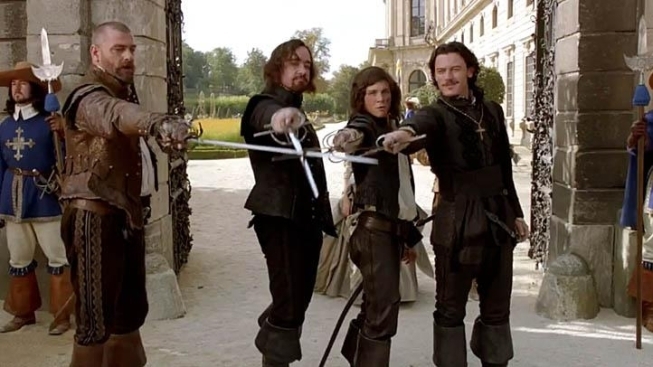 Logan Lerman: The Double-Edged Sword of "Three Musketeers"
What did Logan Lerman do when he learned about the near-impossible swordplay he’d be required to pull off for Paul W.S. Anderson’s high-octane take on “The Three Musketeers”? What any actor would do: smile, nod and quietly freak out inside. Lerman adds that after a small legion of diverse actors have played the dashing D’Artagnan on film – Douglas Fairbanks, Don Ameche, Michael York, Maximillian Schell, Chris O’Donnell and Gabriel Byrne among them – he took inspiration from the most lightfooted interpretation. "The Three Musketeers" opens everywhere - in 3D - this Friday.